Three lawyers have been named as judges of the Supreme Court of British Columbia. The new justices are Barbara J. Norell, Wendy A. Baker and Sharon Matthews. Justice Norell is a partner with Harper Grey LLP who has spent her career working as a civil litigator in the areas of insurance defence (including the professional negligence of lawyers), health law and privacy law. She also worked on administrative law matters. Justice Norell is an active mentor to other women through the Women Lawyers Forum of the B.C. 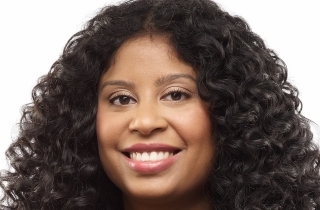 branch of the Canadian Bar Association and is the chief diversity officer at Harper Grey. Justice Norell was a member of the Justicia project of the Law Society of British Columbia and was a member of the Law Firm Diversity and Inclusion Network (LFDIN). She replaces Justice John D. Truscott, who resigned effective July 4, 2017. Justice Norell will preside in New Westminster. Justice Baker is a partner at Miller Thomson, where she practised commercial litigation and assisted clients with corporate and commercial disputes, agricultural law matters and Aboriginal law concerns. She acted as commission counsel assisting Justice Bruce Cohen on the Commission of Inquiry on the Decline of Sockeye Salmon in the Fraser River from 2009-2012. Justice Baker has been a a member of the B.C. Civil Resolution Tribunal since its inception and was a member of the B.C. Financial Services Tribunal. Justice Baker has served as a chair and a board member of the West Coast Environmental Law Association, and has been a contributor to the publications produced by the B.C. Continuing Legal Education Society, including BC Business Disputes, Introducing Evidence at Trial and the Advocacy Toolkit. She replaces Justice James W. Williams, who elected to become a supernumerary judge effective Oct. 10, 2017. Justice Baker will preside in Vancouver. Justice Matthews is a partner and co-founder at Camp Fiorante Matthews Mogerman. 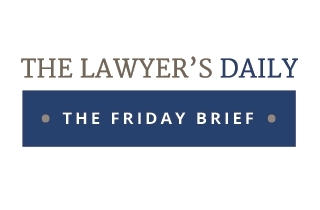 Her practice includes aviation cases, product liability, class actions, public law and constitutional cases, and her clients were often injured or disadvantaged. From 2011-2012, Justice Matthews served as president of the Canadian Bar Association, B.C. Branch. She was elected as a Law Society of British Columbia bencher in 2014. Justice Matthews volunteered as a roster lawyer for Access Pro Bono and was a member of the Trial Lawyers Association of British Columbia. She replaces Justice Laura B. Gerow, who elected to become a supernumerary judge effective Oct. 10, 2017. Justice Matthews will preside in Vancouver.